Kardinal Offishall (born Jason Harrow on May 21, 1976 in Scarborough, Ontario) is a Canadian hip-hop MC and producer of Jamaican descent.Kardinal is often viewed as "Canada's hip-hop ambassador", and along with MC's such as Saukrates and Maestro Fresh Wes, he's arguably the most popular. Kardinal blends soul, dancehall, reggae and hip-hop to create a truly unique sound. Kardinal started rapping at the age of eight, and was winning competitions by the time he was 12. Kardinal started rapping at the age of eight, and was winning competitions by the time he was 12. Also at the age of 12, Kardinal performed live and on stage for the first time, with Nelson Mandela in attendance during his first visit to Toronto. By 1993, he decided to drop his alias "KoolAid", and went by the moniker Kardinal Offishall after being inspired by the great 17th century French politician Cardinal Richelieu. Kardinal was signed to a publishing deal with Warner/Chappell Music Canada at the age of 20. In 1996, he released his first single "Naughty Dread", which was featured on the Rap Essentials Volume One compilation and earned him a Juno Award nomination for Best Rap Recording. In 1997, Kardinal released his debut album Eye & I on Capitol Hill Music. The only single from the album, "On Wit Da Show", had considerable video play on MuchMusic. Kardinal was also credited as a major contributor to the late 90's renaissance of Canadian hip hop. In 1998, he was featured on the Juno-winning single "Northern Touch" with the Rascalz, Choclair, Checkmate and Thrust. In 2000, Kardinal signed with MCA Records. He released the album Quest for Fire: Firestarter, Vol. 1 in 2001, which spawned the hits "BaKardi Slang" and "Ol' Time Killin'". The album earned a gold certification in Canada. After MCA folded in 2003, Kardinal's highly anticipated follow up album Firestarter Vol. 2: F Word Theory was shelved along with the single/video for "Belly Dancer" featuring Pharrell, and Kardinal eventually found himself without a label. Had the album been released, there would have been production from Timbaland and The Neptunes among others. He released an independent mixtape titled Kill Bloodclott Bill in 2004 with his production company, The Black Jays, and he also released his second major-label album titled Fire and Glory in 2005, through Virgin Records in Canada only. Hits on Fire and Glory include "Everyday (Rudebwoy)" and "Heads Up". Kardinal has also produced many songs, including the hit single "Let's Ride" by Choclair, whose album Ice Cold went gold in 35 days and would win them a Juno in 2000. However, it was with the Black Jays team when Kardinal received notoriety for his production work. In 2004, Kardinal and Solitair of the Black Jays created a remix version of Jay-Z's The Black Album and called it The Black Jays Album. 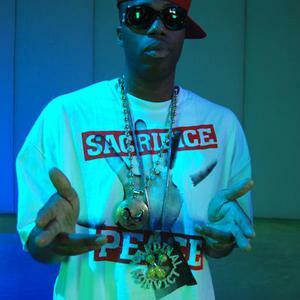 Kardinal also did some production on Kill Bloodcott Bill and produced 9.5 out of the 14 tracks on Fire and Glory. He is one of the few Canadian hip hop artists that have an international audience and has collaborated with artists such as Busta Rhymes, Method Man, Sean Paul, Spragga Benz, Bounty Killer, Little Brother, Stat Quo, Pharoahe Monch, Vybz Kartel, Rihanna, Snow, Pete Rock, Lil Wayne and Akon. A-List producers, The Neptunes requested Kardinal appear on the remix to their smash hit production ?Grindin'? with Clipse. The remix was well received across North America, particularly in New York City. To date, Kardinal is the only Canadian urban act to appear on BET's Rap City (even freestyling in the booth with Big Tigger), and on MTV's Advance Warning (which introduces the world to artists on the verge of breaking big, like former guest Kanye West). Kardinal has made brief guest appearances in Rihanna's "Pon De Replay" music video, and Sean Paul's "Get Busy" video, which was shot in Woodbridge, Ontario (a Toronto suburb). He has also appeared on mixtapes from Clinton Sparks and DJ Green Lantern. In 2006, Kardinal collaborated Akon, Cipha Sounds, DJ Whoo Kid, and various members of the Black Jays family among others. At the 2006 MuchMusic Video Awards, Kardinal walked away with 3 awards for "Everyday (Rudebwoy)", including Best Video, Best Director (RT!) and VideoFACT Award. At the MMVA's, he announced that he had an upcoming collaboration with the Canadian Reggae Band Bedouin Soundclash, now known as the single "Last Standing Soldier" (Remix).